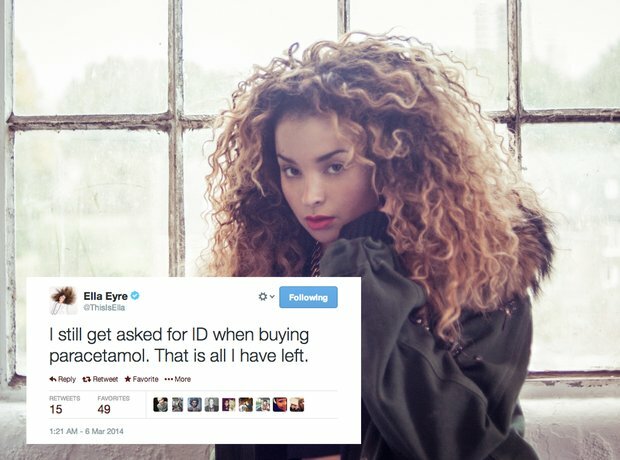 Ella Eyre dealt with turning 20 this week. 11. Ella Eyre dealt with turning 20 this week. "I still get asked for ID when buying paracetemol, that's all I have left".